It s "ruff" being a star. 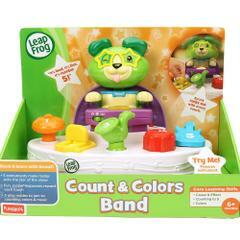 Get little ones jamming to early development skills as they rock out with scout s count and colours band. 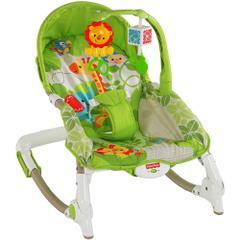 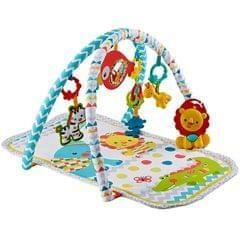 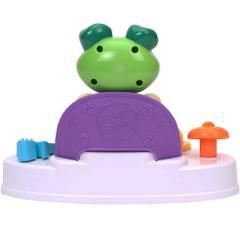 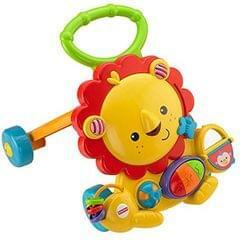 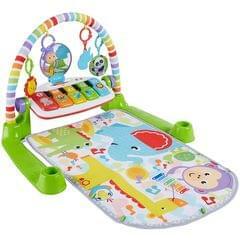 Play five instruments, explore three learning modes and get baby grooving on cause and effect. 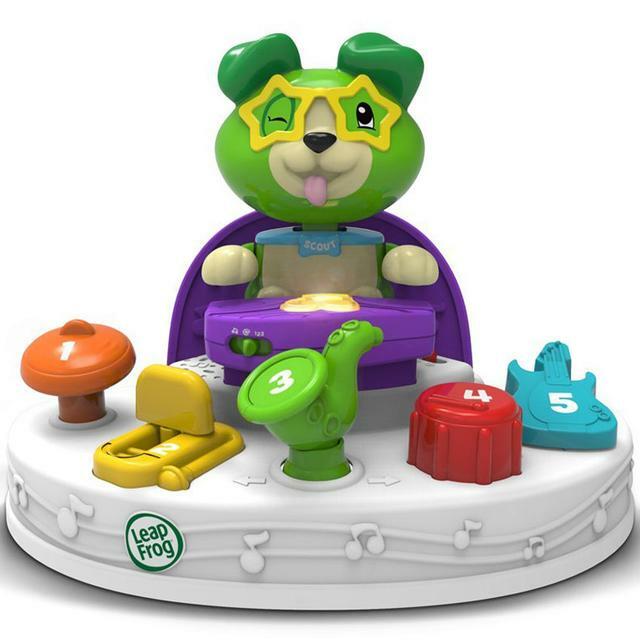 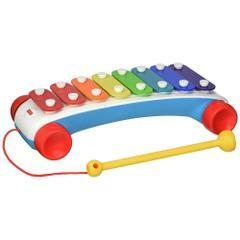 Scout s count and colours band has five colourful instruments for baby to play, plus a light-up piano played by puppy pal scout. 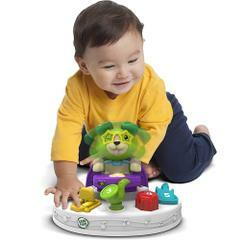 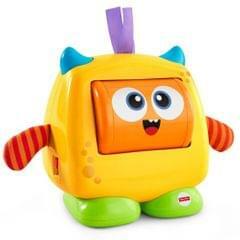 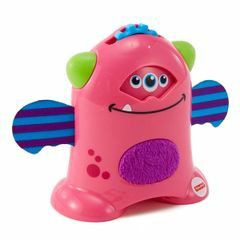 Every press, tap, twist or wobble gets scout bopping, playing and singing, helping babies connect what they do (cause) with each fun effect. 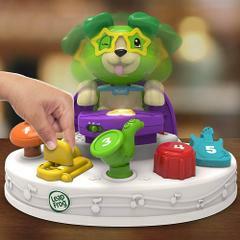 Little ones can explore in three different modes to discover colour names, numbers, musical genres and instruments, all accompanied by rock star scout. 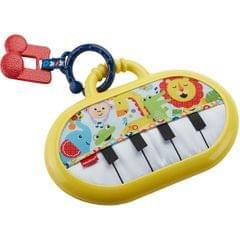 It s musical fun they ll want to play again and again. 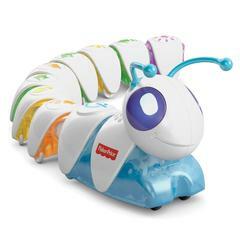 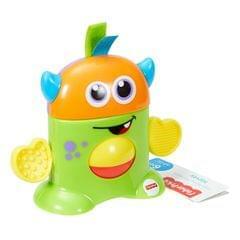 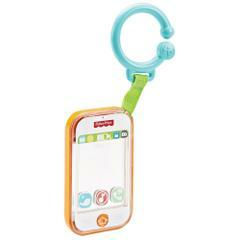 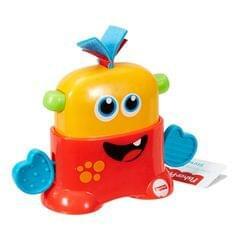 Requires three AAA batteries to operate (demo batteries included).